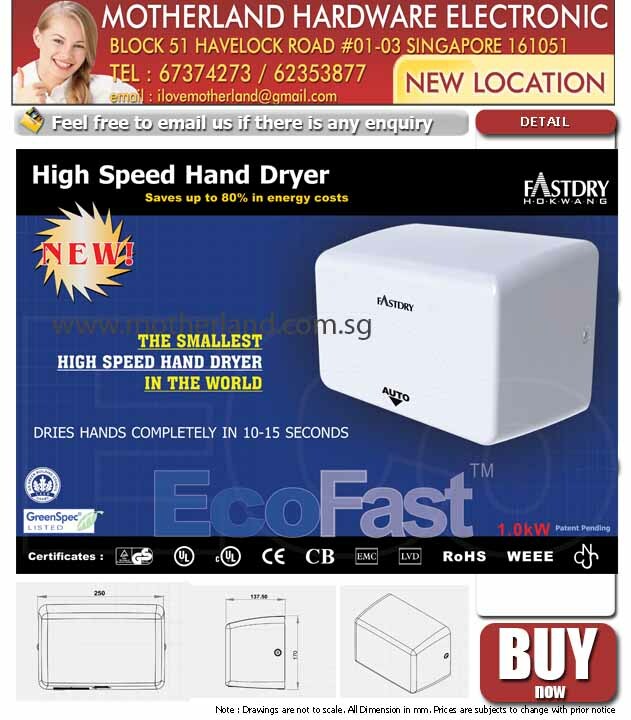 High Speed Hand Dryer is One of the most compact & economical high speed hand dryers in the market. Dry your hand in less than 15 seconds. Green spec listed. Save cost on your paper towels. This product is CE & UL certified.